We may just be (finally) having a public conversation about periods, but periods, lest we forget, have been around for centuries, of course. How did women of olden days manage them? How did Victorian era Brits change their pads under all their layers of corsets and crinoline? Were Cherokee menstruators really capable of destroying their enemies with menstrual blood? 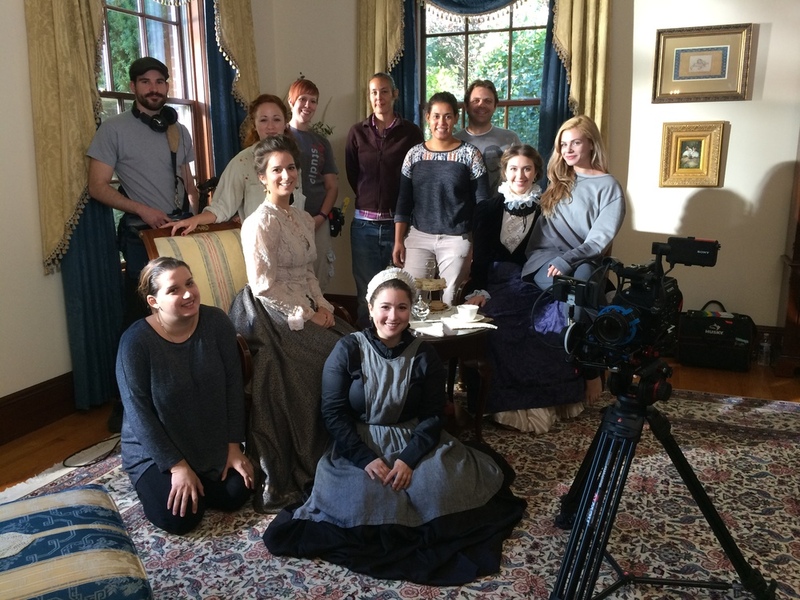 All of these questions answered and more* in this hilarious web series appropriately titled, Period Piece, from creator Liliana Tandon. We’re reaching the last scant minutes of International Women’s Day 2016, but never fear: here is an excellent web series called Period Piece that will more or less tell you everything about menstruation throughout history. Well I am completely buzzing. What an incredible second day of shooting! This week we shot a Buddhist inspired episode and one set in modern day. Stresses were high Saturday when we still didn't have our locations solidified, and the shoot was happening the next day! But... it wouldn't be a film shoot if everything went smoothly, now would it? Although we didn't get to shoot in the real Buddhist temple we were hoping for, I knew I could count on my Art Director, Amanda Roberge, to make a corner of my apartment look absolutely stunning... and she did! It's amazing what you can do with scarves... but that's all I will say about that. Don't want to ruin the movie magic. Next, actress Rachel Kent and I got to live out a life long dream: eating pizza on camera. In this episode, we explored the different stereotypes and stigmas surrounding women and their periods today. How do women feel about their periods, and what does it symbolize for some women in regards to femininity? This episode rewinds to show multiple different scenarios of the same scene. Oh, and I did I mention we got to eat pizza? We finished the night at Ulysses Bar on Stone Street in lower Manhattan, staying exactly on schedule and finishing right at midnight. Luckily, the bar didn't close until 4 am, so we stayed for a while to decompress. The cherry on top of a perfect, wonderfully stressful day.